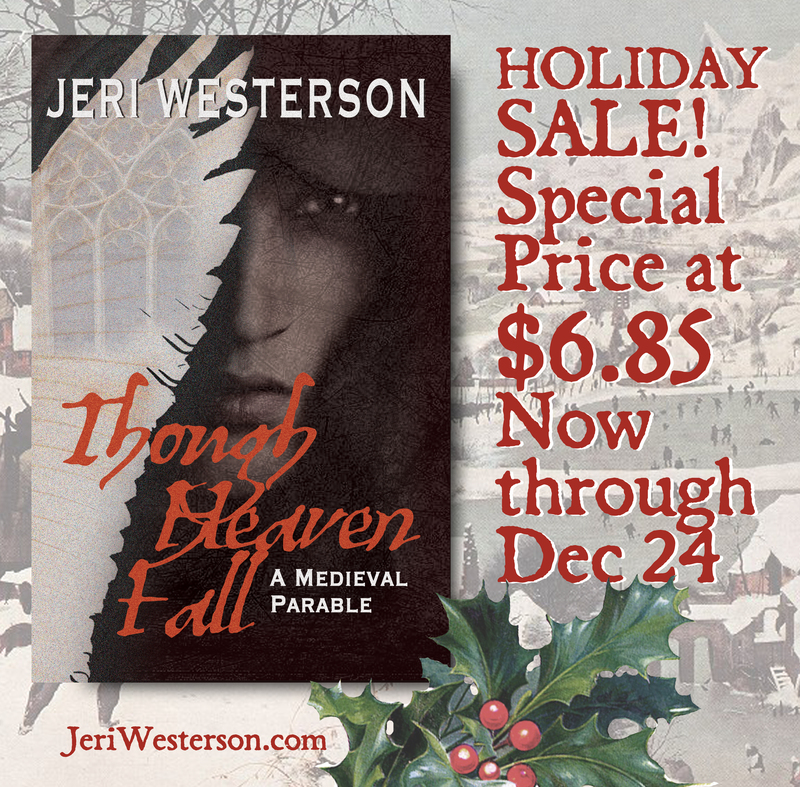 Details on how to win a copy of Though Heaven Fall at the end of this review, along with a link to purchase the book, which is on sale for $6.95 through December 24. Life is not easy in 13th century England, especially if you are a cripple. Edric, our quasi-hero, is adept at begging and stealing for a living. He also has musical talent with a pipe and makes a few shillings that way as well. His whole life he has built up a defense against people, expecting rejection and getting it. All he can handle are his own needs and he has become self-centered in order to survive on the edges of society. All that changes when Edric saves the life of a man who claims to be an angel. Azriel is not sure what he’s done to be sent to earth and he’s pretty confused by his body and his surroundings. Edric isn’t looking for a traveling companion, especially not a crazy one, but when he hears Azriel sing, Edric realizes he has a new partner for making money. In the course of things, Edric finds a woman who loves him, despite his disability and nasty disposition. Simultaneously, a monk escapes from a monastery. Brother Peter is said to be mad, but his best friend, Brother Latimer, remembers him as intelligent and well-read with a sharp sense of humor. He volunteers to go in search of the monk and bring him back to his cell. Sir Hugh Varney is dying of cancer. Despite his failing health and fear for the future of his soul, he has to go in search of the mad monk to keep the people safe. It is his duty to his subjects. The worlds of these four people collide as they deal with faith, hope, charity and a man who might be their guardian angel. What they are really searching for is their place in God’s scheme of things. This is a parable that gets the message across without preaching. Fully entertaining, it still poses questions that are just as relevant in the 21st century as in the 1200s. The book begs the question: would you believe if an angel stumbled into your life? Though Heaven Fall is a stand-alone and a great introduction to Westerson’s writing. Don’t miss her mystery series starring Crispin Guest, a disgraced knight and 14th century London detective. 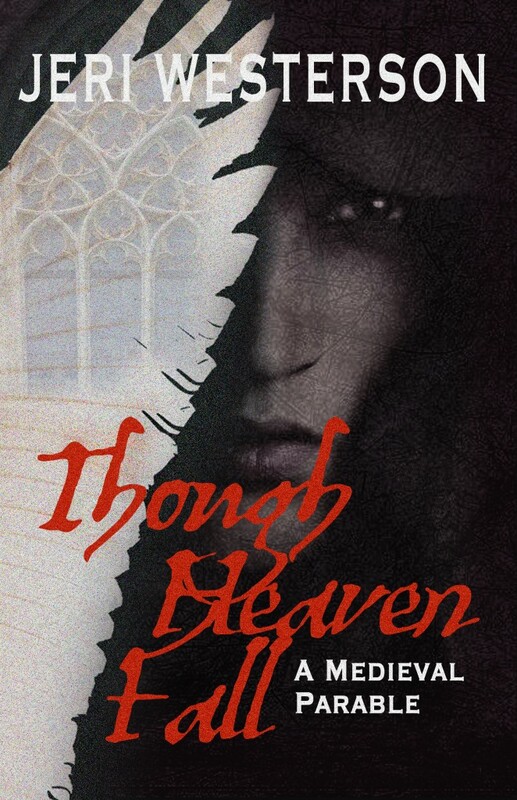 To enter to win a copy of Though Heaven Fall, simply email KRL at krlcontests@gmail[dot]com by replacing the [dot] with a period, and with the subject line “Heaven,” or comment on this article (the winner can choose either ebook or print). A winner will be chosen December 20, 2014. U.S. residents only. If entering via email please include your mailing address, and if via comment please include your email address. 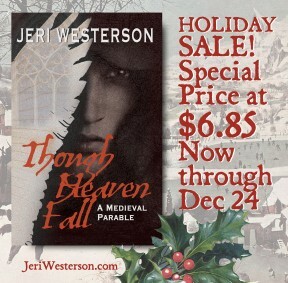 Use this link to purchase Though Heaven Fall and take advantage of the holiday sale! Sounds like a great premise–thanks for avoiding the spoilers. Lately, I have seen a number of books set in England in medieval times. I don’t read a lot of historical fiction, but I’ve enjoyed what I have read. The closest book to this I recently read was Dark Fire by C.J. Sansom. It was set a few hundred years later than Through Heaven Fall. I would imagine a few hundred years would change the setting, but then I’m thinking in terms of our past couple of hundred years. Things may’ve changed slower back then because the industrial age had not yet come about. I don’t know. I learn something new every time I read a book set in the past. This looks interesting. This sounds like an interesting book. I am always looking for new authors to read. This sounds AMAZING!!! Cant wait to read!! 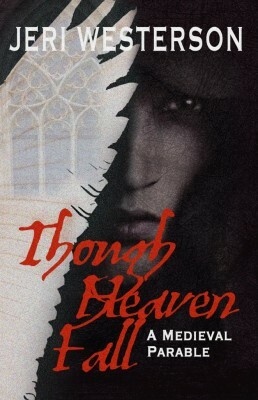 luv i would like to enter in your contest for the book Though Heaven Fall. I tried to enter via email however the email was sent back.. I wish my self luck. Jeri’s writings are as captivating as she is. Her tales are enhanced by her research making me feel a part of that time. Sounds interesting, thanks for chance to win a copy!